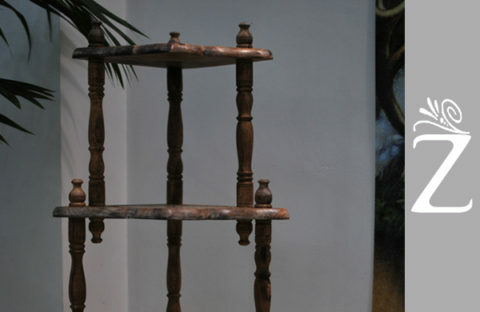 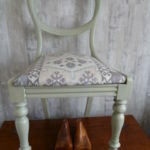 A vintage carved balloon back chair. 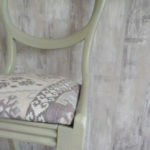 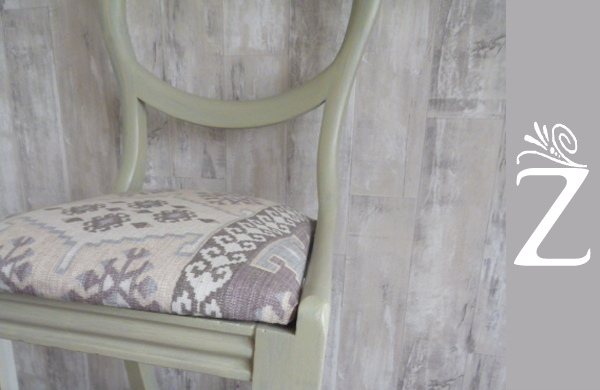 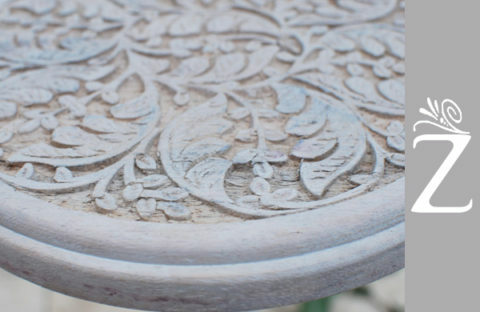 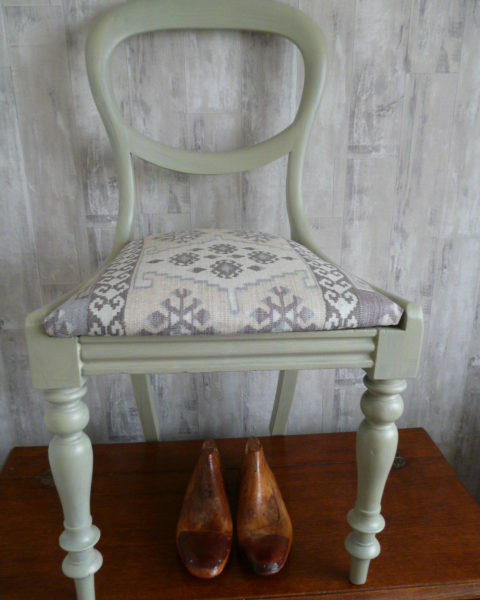 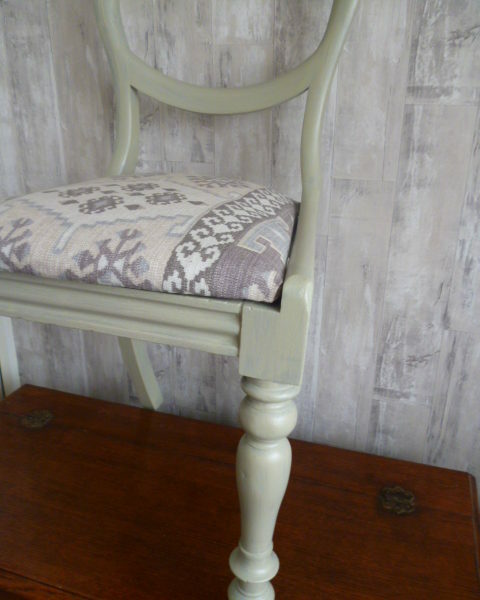 Hand painted in Farrow & Ball French Gray and finished with a light wax. 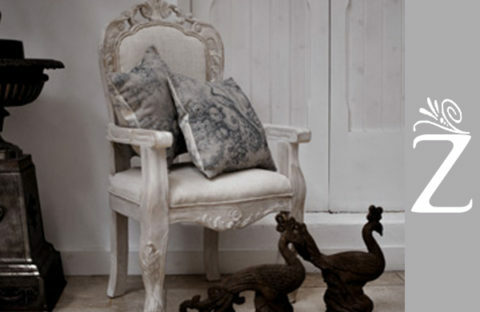 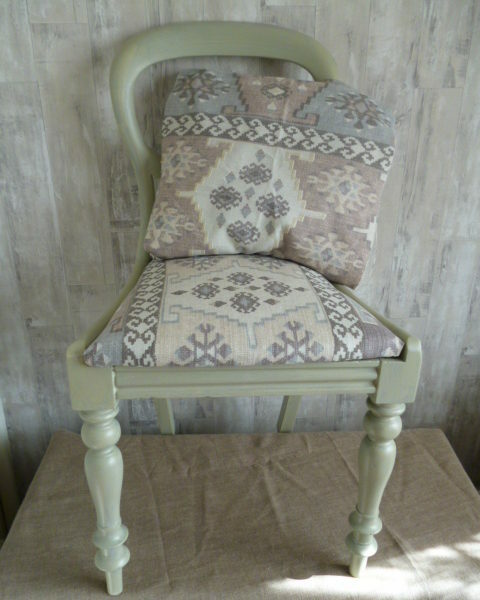 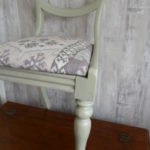 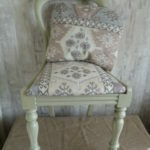 The chair is upholstered in a heavyweight cotton kelim design. 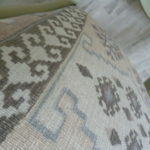 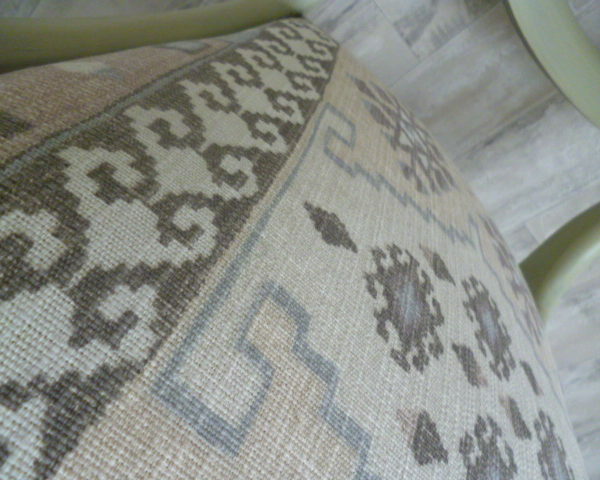 A matching kelim cushion is also available.